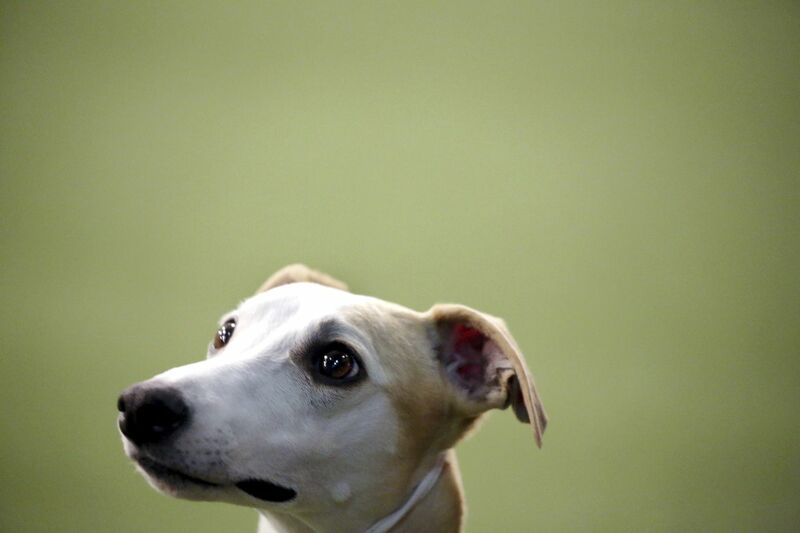 Whippets are similar to greyhounds, only smaller. They’re known for their tremendous running speed, but Bourbon was completely under control. She was more mesmerized by the meat treats Cheslie fastened to her arm with a rubber band.